18 wheeler and other commercial vehicle drivers are held to higher standards than other motorists due to the fact that they are supposed to be highly trained professionals. If a negligent driver of a commercial vehicle, such as a UPS or FedEx truck, has injured you or a loved one, it is critical to have an experienced Texas trial lawyer handling your personal injury claim. Injured In A Commercial Trucking Accident or 18-Wheeler Accident? Jim M. Perdue Jr. and Donald H. Kidd are board certified in personal injury trial law by the Texas Board of Legal Specialization and are members of the American Board of Trial Advocates (ABOTA). They are committed to securing full and fair compensation for the victims of commercial truck accidents. 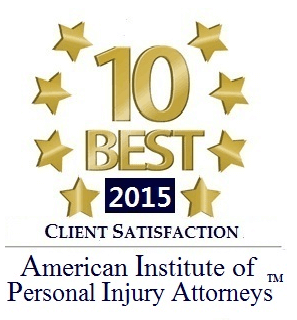 Our Houston truck accident lawyers are nationwide industry experts. The insurance company is not on your side. Before signing anything or making a recorded statement, make sure to contact us online or call 713-520-2500 or toll-free 800-520-1749 for a free consultation with a lawyer from Perdue & Kidd. To discuss your crash claim with a knowledgeable trial attorney, please contact us online today. Sign Up Here.